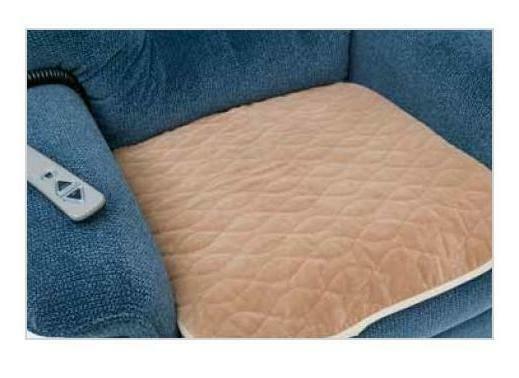 The Pride® Protective Pad protects the seat of your lift chair from spills and leakage. The pad can hold up to one cup of fluid, as a urinary incontinence accident typically yields approximately one cup. After it has been wet and/or soiled, the pad may be hand or machine washed in warm water on the gentle cycle. The pad is a "wear item" that means the overall lifespan will depend on a number of factors, including usage habits and how it is washed. Manufactured as a 3-layer pad, the top layer is flat fiber suede; the middle layer is 65% polyester and 35% rayon; and the back material that touches the lift chair is 100% polyester with a vinyl backer.